"Students in the consortium of community colleges will be given access to the NexusEdge platform to track their certifications, mentoring relationships, and courses related to their career interests," said Farhan Syed, director of academic and government sales for Lynda.com. "LinkedIn will be providing 1,000 licenses to the Lynda.com library, which contains thousands of courses on business, technical, and creative topics designed to prepare the student to become great at what they want to do for their career." 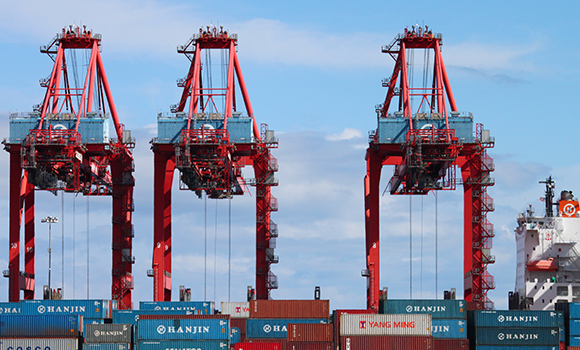 California ranks first in the nation for exporting computers, electronic products, food and related products, and exports to approximately 225 foreign markets with the top three trading partners - Mexico, Canada, and China. 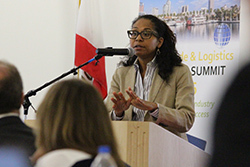 “I've long supported the additional investment in Career Technical Education and am pleased that this regional program addresses the many career opportunities the global trade and logistics sector affords students in Southern California," said Assemblywoman Autumn Burke (D-Inglewood) whose district includes some of the colleges in the consortia. "Being able to attract partners like LinkedIn is a bonus that can help our students find those middle-skills jobs more quickly."